If you are a hotel or venue hosting Christmas party nights, then you may well have already got your catering requirements, temporary bars, additional furniture hire and so on all planned and ordered. One of the things that may be missing from your list, however, is fridge hire. After all, you’re going to be catering than more-than-normal numbers both behind the scenes in the kitchens and also out front in the bar areas and so on, so give this some thought. Additional catering numbers means more demand for ovens, burners, hot cupboards and other catering equipment. It also means additional requirements for refrigeration to provide the additional capacity to store and hold ingredients for the catering teams. Depending upon what you have on site already, you might want to hire cold rooms, or simply some freestanding fridges which are available to hire in a range of different sizes and styles from Event Hire UK. Furthermore, if you are planning to hire a mobile event bar, then the chances are that you will also need to hire bottle fridges and drinks fridges to keep those bottled beers, mixers, and bottles of wine, Champagne and prosecco chilled and at their optimum drinking temperature. 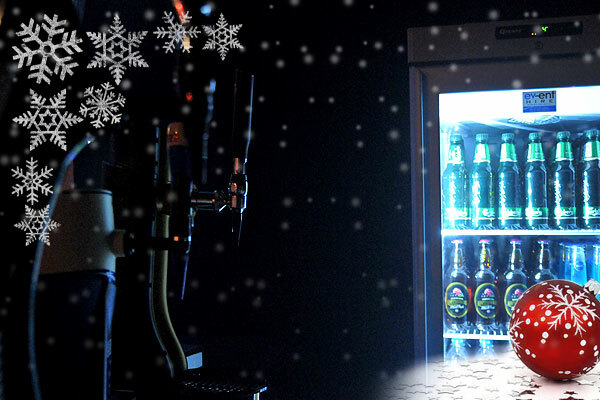 Whatever you need when it comes to refrigeration hire for Christmas events, you can count on the catering equipment hire experts here at Event Hire UK to be able to offer you the range of fridges and freezers that you need in the quantities you need, helping your Christmas event really hit the spot. Contact a member of our expert sales team today!